"Developing products that are completely safe for the environment and for people is our top priority. We would also like to make a contribution toward solving global ecological problems such as the environmental pollution caused by plastics, which can also originate from synthetic textiles," said Antje von Dewitz, Vaude CEO. Together with various partners from environmental associations, the scientific community and the textile industry, Vaude has launched the TextileMission research project. 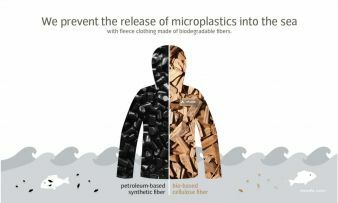 The goal is to find solutions that will reduce the environmental impact of microplastics released when synthetic apparel is washed. 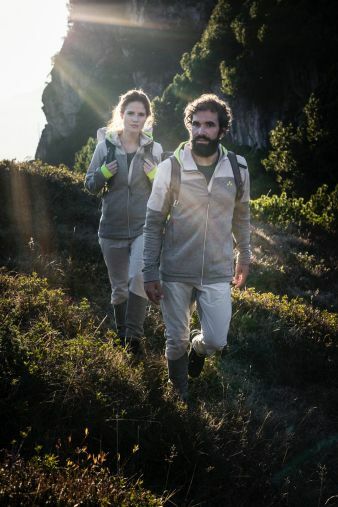 Vaude is excited about the initial successful developments and is launching an innovative fleece material made of a biobased, biodegradable fiber. This is one of the innovative natural materials used by Vaude in its new, completely sustainable Green Shape Core Collection. Fleece has a fuzzy surface that is usually made of synthetic fibers such as polyester. Microfibers are shed when the fabric is laundered and are only partially filtered out by sewage treatment plants. These microfibers often pass through the system and are released into the environment. Since synthetic fibers are very durable and often extremely slow to biodegrade, they pose a threat when they end up in our oceans through the global water cycle. The problem: marine life can confuse these tiny particles with food allowing the plastics to enter the food chain. 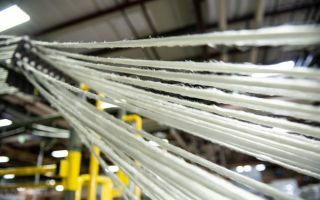 "As a manufacturer of fleece clothing, we recognize our responsibility in this issue and are actively searching for solutions to prevent the shedding of microplastics into the environment," said Antje von Dewitz. In September 2017, Vaude came together with partners from the sporting goods industry, universities, WWF Germany, as well as the washing machine and detergent manufacturers Miele and Henkel, to launch the TextileMission research project with funding from the Federal Ministry of Education and Research (BMBF). 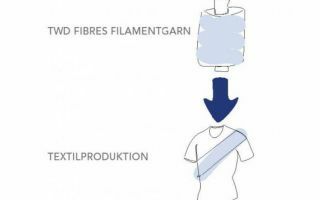 Hilke Patzwall, CSR Manager at Vaude: "The aim of TextileMission is to optimize wastewater treatment plant technology with filters while also developing textiles with significantly lower microfiber emissions. In addition, research is being conducted into biobased and biodegradable fibers as environmentally friendly alternatives." Together with the Italian manufacturer Pontetorto, Vaude is the first outdoor outfitter to develop a cozy fleece material that uses Tencel on the inner surface. The unique feature of this material is that the microparticles that enter the global water cycle during the washing process can biodegrade completely in seawater. The Tencel fiber is made from 100% wood cellulose, a renewable raw material that has excellent functional properties. 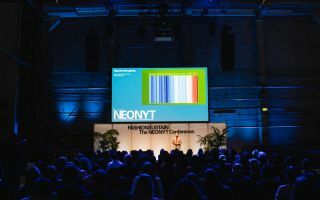 The fabric was presented to the public at the Performance Days textile trade fair in Munich in November 2017 where it was honored with the Eco Performance Award. Vaudeis using this newly developed material for the first time in the groundbreaking, sustainable Green Shape Core Collection. This collection consists of 19 sustainable products - apparel, footwear, and backpacks - designed for a wide range of outdoor activities. They are characterized by a natural look and feel and combine performance with a feel-good factor and a long service life. Around 90% of the diverse textile materials used in the production process are biobased, recycled or pure natural materials. Unconventional raw materials such as cow's milk, wood and castor oil are also used. The collection will make its debut to an audience of trade experts at the Ethical Fashion Show in Berlin in January 2018 and at the ISPO in Munich. Starting in August 2018, it will be available at specialist sports retailers.